The racket came to light in the city after degree student S Vivek filed a complaint with the police. HYDERABAD: Continuing its crackdown on fraudulent money circulation schemes, the Cyberabad Police on Tuesday busted a scam pulled off by three of a family that cheated over 7 lakh people across the country of nearly Rs 1,000 crore. Police arrested Hitik Malhan, 31, one of the founders of eBiz Private Limited operating out of Noida, and froze Rs 70 crore of the firm’s bank deposits. The venture collected money from customers in exchange for e-learning courses and promised them returns if they admitted new members to the scheme. The Jagtial resident paid Rs 16,820 to become an eBiz member. When he did not get any returns despite enrolling new customers, he approached the police. 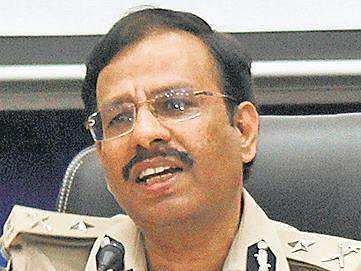 Cyberabad Police Commissioner VC Sajjanar said cases had been registered against the firm in Warangal and Adilabad. The firm run by Pavan Malhan, his wife Anitha Malhan and their son Hitik Malhan organises motivational lectures targeting students and unemployed youth and lures prospective customers promising them huge returns. Once someone joins eBiz Business through a promoter, he becomes a representative. After paying money, the newcomer gets access to a few products such as e-learning courses and holiday packages and the promoter gets a commission. The representatives have to enrol three other members and the cycle continues. eBiz has a simple pyramid business model that benefits early entrants, but is loss-making for lower rung members. “In pyramid schemes, the primary seller at first does not get any commission, but as the pyramid beneath him grows, he makes a lot of money,” Sajjanar said. eBiz’s office at Noida has been sealed and police are on the lookout for Pawan Malhan and Anitha Malhan who are absconding.